Several strong and unprecedented recent winter storms resulted in significant shoaling of Moriches Inlet. Photo by: Lee Zeldin via YouTube. Patchogue, NY - April 17, 2018 - Today, Congressman Lee Zeldin (R, NY-1) announced that the Commander of the U.S. Army Corps New York District, Colonel Thomas Asbery, just received the needed Emergency Declaration from Army Corps of Engineers North Atlantic Division Brigadier General William Graham, granting Rep. Zeldin’s request to perform emergency dredging of the Moriches Inlet. With this emergency declaration, the process of coordinating funding and permits will be initiated and expedited so dredging vessels can begin working on the Moriches Inlet as soon as possible. The emergency declaration allows for expedited coordination with the U.S. Fish and Wildlife Service regarding the listed endangered bird species, Piping Plover; the National Marine Fisheries Service regarding relevant fisheries species, the United States Coast Guard – Sector Long Island; the New York State Department of Environmental Conservation, and the State of New York Department of State. The expedited coordination is needed to comply with several federal and state laws as well as help identify suitable placement location for the 300,000 cubic yards of sand that is clogging the inlet. Several strong and unprecedented recent winter storms resulted in significant shoaling of Moriches Inlet. This inlet provides critical access to the Atlantic Ocean and has allowed some boats to bypass the shoaling problems of Moriches Bay. The threat of a closure of the inlet would deal a major blow to marine related businesses across eastern Suffolk County and present a danger to boaters’ safety. Last month, Rep. Zeldin was joined by local electeds, small businesses, boaters and fishermen in calling for an emergency dredge of Moriches Inlet during which Congressman Zeldin joined local fisherman to survey the inlet’s dangerous navigation conditions first-hand. "We appreciate the team effort to have quickly received the needed Emergency Declaration from our higher Headquarters to address this issue," said Col. Thomas Asbery, commander, New York District. 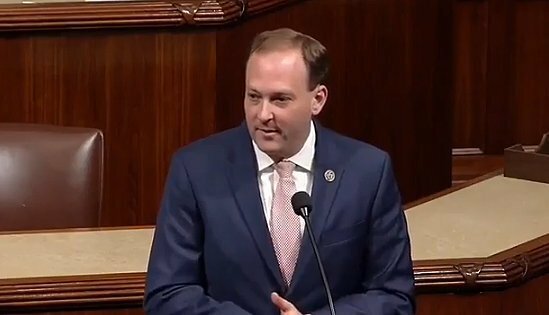 "I'd like to thank Rep. Zeldin and our partners at the local, state, and federal level for their support in helping to address this challenge. We look forward to performing the work to restore Moriches Inlet to its federally authorized depth in the near future, which will make it safe and usable for the residents of Long Island." Subject: LongIsland.com - Your Name sent you Article details of "Army Corps of Engineers Grants Rep. Zeldin Request for Emergency Dredge of Moriches Inlet"